Facts about teeth and gums! Periodontal disease has been called the ’silent killer of pets’ and proper oral health care may actually extend the life of your pet by 2 to 5 years. It’s estimated that 80% of dogs and 70% of cats over the age of 3 suffer from periodontal disease, a serious deterioration of the gums and supporting bones of the teeth. Bacteria can enter your pet’s bloodstream, causing infection or damage to vital organs such as kidneys, lungs, heart, or liver. Avoid stressful expensive trips to the vet by managing a health teeth and gum cleaning routine. Apply with your finger or with a soft "finger brush" style toothbrush. 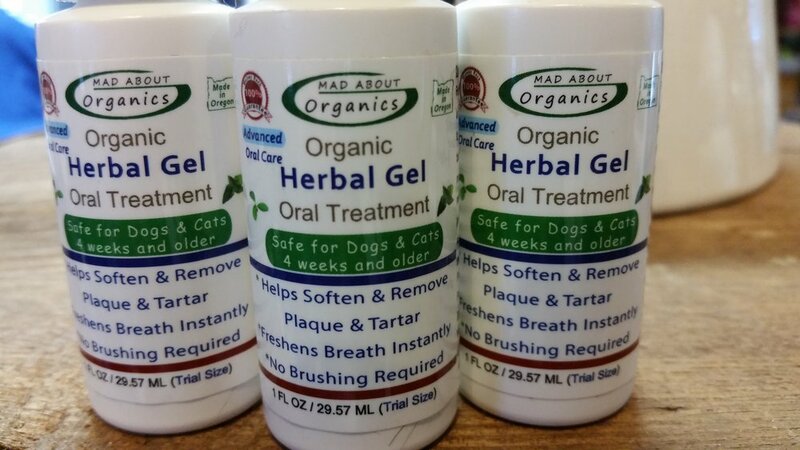 If you have a pet with heavy plaque and tartar build-up, apply first thing in the morning and again in the evening. You should start noticing positive changes after just one week.